The way men are taught to think and behave, in many cases, is wrong. We are seeing this manifested in the news, in our politics, in those who entertain us, and in practically every direction we look these days. 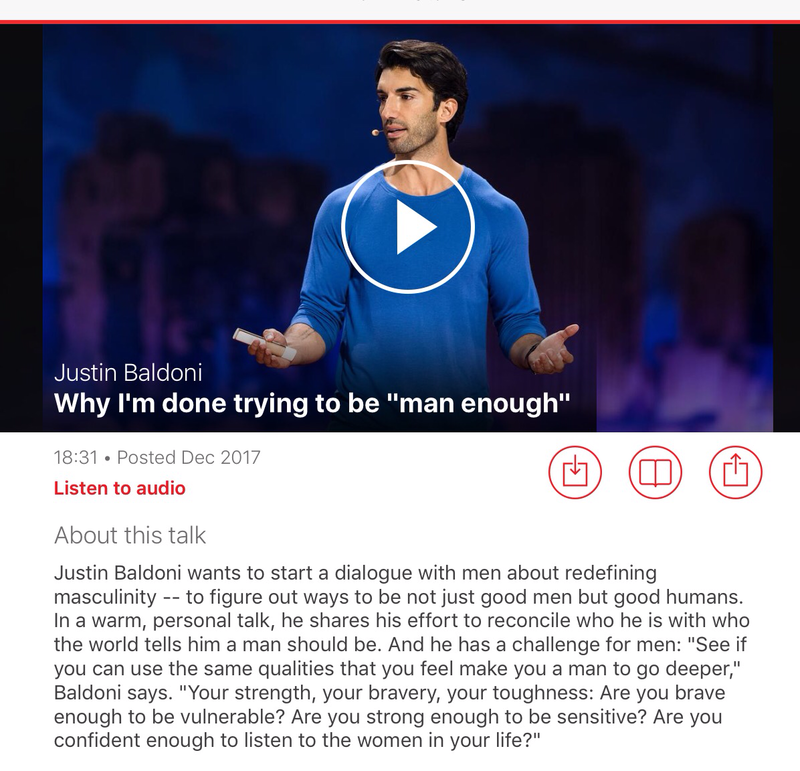 Justin Baldoni challenges men and women to challenge the way we, as men, think, see ourselves, define “masculinity”, and operate in the world. I have been thinking about men and their – scratch that – and our behavior a lot lately. And I have been speaking with my wife about it too. I have felt ashamed of what I see happening around us every day. I think – why do men behave like this? How can men think these behaviors are OK? Does this go back to the beginning of time? And, if so, how do we change something that is so deep seated, so “ingrained”? There is only one answer that comes to mind. It has to start with me. And it has to start with my guys. It has to start with each man. Even if I don’t engage in these behaviors that are so offensive to me, in some way I am still responsible to make a difference. If I do nothing because I don’t see myself as part of the problem, then I am indeed part of the problem. In the words of Ghandi, “let me be the change I wish to see in the world.” Let it begin with me. Watch this TED Talk and join me in being part of the solution.